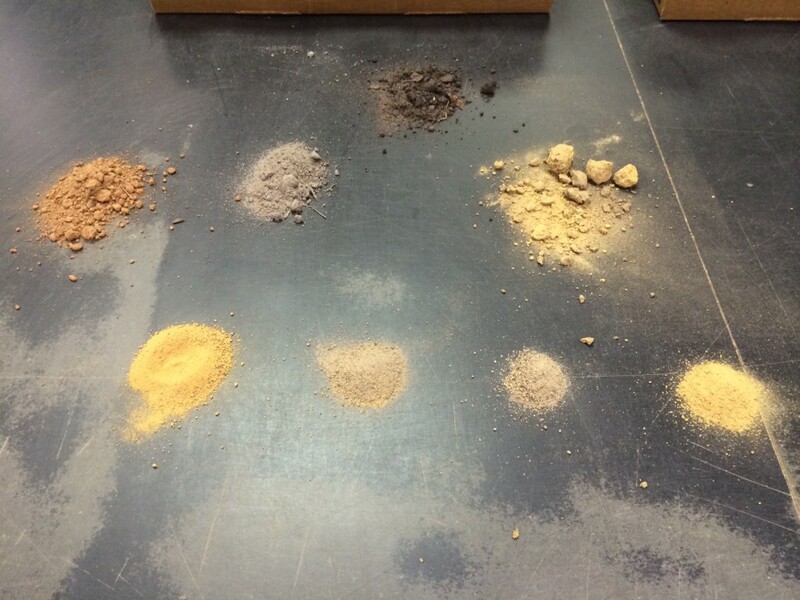 I took this picture at the UGA soils lab in Athens, these are all samples from across the state. What an incredible array of colors! Soil testing is a valuable tool to ensure success in your lawn and garden. It provides a quick and accurate determination of the pH (acidity) and the level of several plant essential nutrients like: phosphorous, potassium, calcium, and magnessium. These results will help guide your decisions on plant selection, soil preparation, and fertilization. These decisions have a huge impact on whether your plants and lawn thrive or become victim to insect attack and fungal or bacterial diseases. Overfertilization, for example, can stimulate excessive plant and increase the likelihood of some diseases. Overfertilization on a lawn can also lead to nutrients leaching into groundwater or run off into surface waters. Soils in Cherokee County tend to be on the acidic side; optimum range for most plants and turf is in the 6.0-6.5 range. The pH scale is not a linear scale but an exponential one. A soil with a pH of 4.0 is 10 times more acidic than a soil with a pH of 5.0 and is 100 times more acidic than a soil with a pH of 6.0. Soil pH affects the availibility of nutrients in the soil as well as those applied as fertilizer. Correcting any pH imbalances is the first step in nutrient management plan for your lawn or garden. 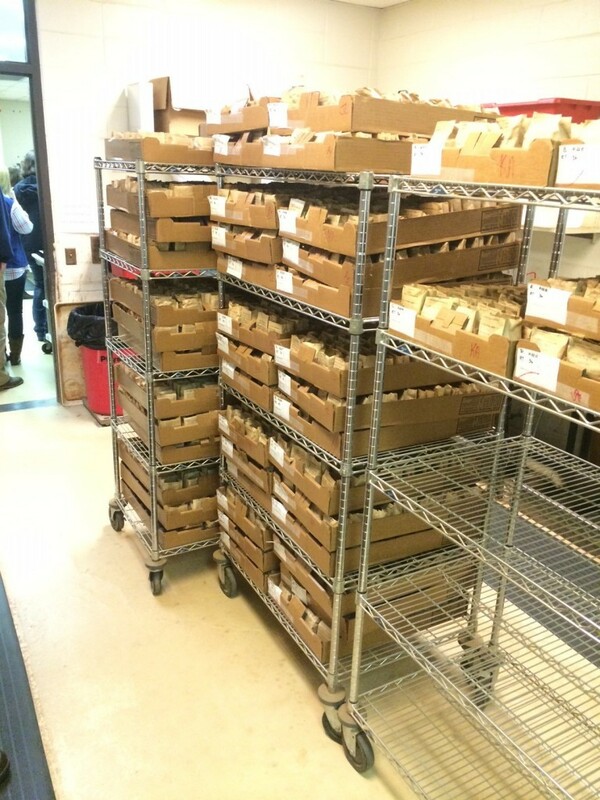 The soil lab in Athens receives hundreds of thousands of samples per year from across the state. I visited in September which is the slow season and I was still amazed how many samples they were processing. Soil samples can be taken any time of the year. The pH and phosphorous levels are relatively constant throughout the year as long as lime, fertilizer, or organic matter has not been applied recently. It is best to sample a few months before the growing season, so test soil several months before planting or fertilizing. For a warm season lawn (bermuda, zoysia) it is best to sample in fall or winter, the same goes for a summer vegetable garden. For a cool season lawn (tall fescue) it is best to sample in the summer. If it is your first soil sample in an area and your pH or nutrient levels are excessively high or low, you may need to sample the area every year to determine the levels of change and what if any additional amendments need to be made. After your soil is in a normal range a soil test is suggested every three to four years. A soil test result is only as good as the sample collected. It is best to do separate samples for lawns, ornamental or shrub areas, and vegetable gardens as the soils will often be different and the plants will have different requirements. Start with a clean bucket and trowel and take plugs or slices from the surface to a depth of 4 inches for turf and 6-8 inches in vegetable and flower areas. It is best to take a random sampling across the area with at least 8-10 different samples. The mixture of these samples is what will be tested and should provide you with a good average for your area. If soil pH is too acidic, lime can be used to raise the pH. Lime can be applied at any time of the year but it can take 6-12 months to fully react in the soil. Surface applied lime reacts more slowly than lime that is incorporated into the soil. Most of the surface-applied lime stays in the top 1-2 inches of soil. For lawns it is best to aerate before applying lime to ensure pH adjustment in the root zone of the turf. For established lawns and gardens up to 50 pounds of lime per 1,000 square feet can be applied in one application. For rates over 50 pounds, it is best to wait 6-12 months to make a repeat application. Posted in Annual Plantings, Home Gardening, Home Landscape, Soil, Vegetables. This entry was tagged home gardening, Soil, soil pH, soil testing. Bookmark the permalink.